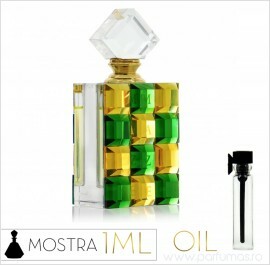 Parfum oriental unisex ce prezinta note citrice, note florale, note lemnoase, paciuli, ambra, mosc si boabe Tonka. Finally a perfume symbolic of the mystery of the Middle East! Every bit as enigmatic as the land that draws thousands into its fold every day, the aroma of Maze is as promising and exciting as the race for survival staged here. In this labyrinth of emotions & feelings, struggles & endeavors, only a few will achieve what they set out for, and it is with these privileged few that Al Haramain's Maze will be found.